Never tie your laces again! Thanks to the folks at HICKIES, you can turn any pair of tie shoes into slip-ons so you can be on your way in a speedy fashion! Especially essential for triathletes! HICKIES Laces are elastic “shoelaces” that work with all you shoes that have eyelets or loops. They are simple to put together, but check out their website for videos on lacing pattern variations to use with your shoes to make them just the right snugness for your foot. They are available in a variety of colors, so you can match the color of your shoes or mix and match colors to have a unique style. 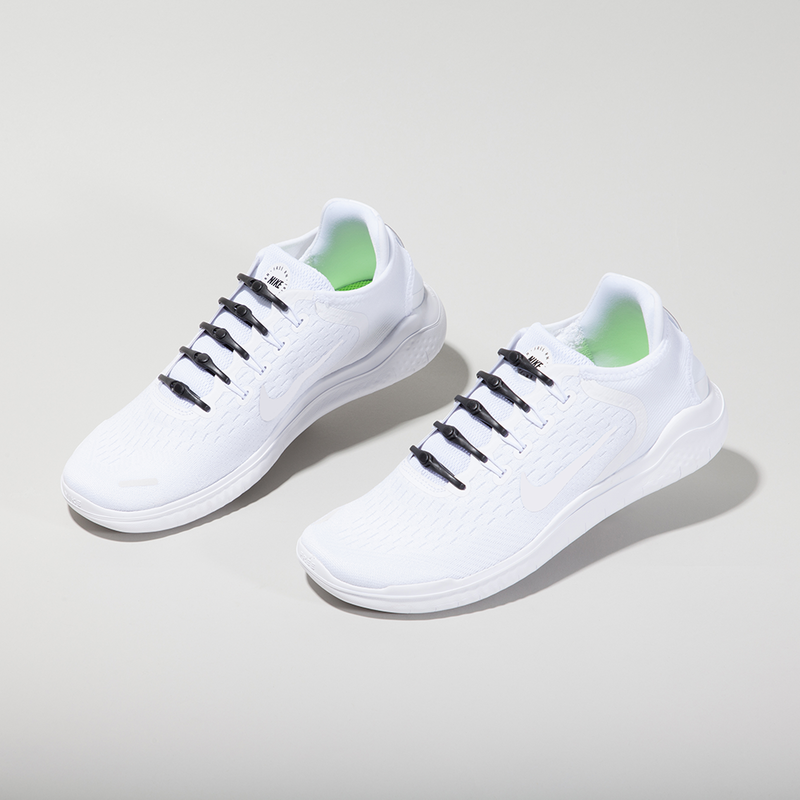 Designed out of a flexible rubber that is moisture-wicking (no more wet laces!) and a durable clasp that will stay put, they allow you to quickly slip into your shoes with a secure fit and then slip out of your shoes easily when it’s time to take your shoes off. They come in a pack of 14 which is more than enough for most shoes (for a pair of Keds, we only used 8 laces). HICKIES saves time so you can get out and do your TrailblazerGirl thing without the hassle of tying your shoes!